(CNAs) are an important health care worker. They provide services for individuals who are in need of assistance or care. This care may be short term in nature, as in the case of recovery from an injury. It may also be long-term care, as in providing ongoing assistance to a person suffering from Alzheimer’s disease or other conditions associated with aging. Here is a look at some of the specific duties performed by CNAs. You should also understand what training and qualifications they have in order to provide care. Finally, you should know that working with a healthcare services provider that employs CNAs that are trained and skilled helps you receive the best possible care you should come to expect. According to the Bureau of Labor Statistics, there are 1.4 million CNAs in the United States. CNAs meet the licensing and education requirements established bv many states, like Florida. Healthcare service providers like Elite Senior Home Care understand the importance of providing only the most qualified and well trained CNAs. These CNAs perform those duties necessary for you or your loved one in need of assistance, in order to increase their comfort and provide for their basic needs. Certified Nursing Aides, under the supervision of a licensed skilled nurse, can help provide the care you need at an affordable cost. For your needs in the West Palm Beach area, Elite Senior Home Care is the provider to consider. Elite Senior Home Care employs skilled CNAs who are trained to provide the best level of care for you or your loved one. 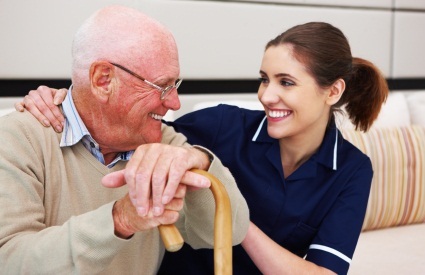 There are many services that a good CNA provides in the care of others. Elite Senior Home Care understands that having well trained professionals provide assistance helps you feel comfortable and confident that the best of care is always being provided.